Energy firm, SSE, expects profits in household supply to be significantly lower in 2019. The energy company has issued a profit warning, blaming the looming price cap on the industry's poor-value default tariffs, the hot weather and higher gas prices. In an unscheduled trading uodate, the firm, one of the UK's big six energy suppliers, said adjusted operating profits at its household supply business would be significantly lower next year, if the industry regulator's proposed cap is implemented on 01 January. More than 11m households will have their energy bills cut by about £75 per year under the cap. The overall saving from capping household bills at £1,136 a year is expected to be about £1bn, which would largely wipe out combined profits of £934m made by the big six companies last year. Shares fell nearly 9% after SSE said it had already taken a £190m hit on adjusted operating profit in the first five months of its financial year. It blamed higher than expected gas prices and other commodity price changes, as well as the long spell of dry, warm weather, which discouraged customers from using their heating. A lack of wind and rain has also resulted in lower than expected output from renewables. As a result, SSE profits in the six months to 30 September will be around £293m, half of the £586m achieved last year. The company noted that unlike other suppliers, it had raised its household prices only once this year. Alistair Phillips-Davies, its Chief Executive, said: "Lower than expected output of renewable energy and higher than expected gas prices mean that SSE's financial performance in the first five months has been disappointing and regrettable." He said the firms £1.7bn investment in regulated networks and renewables had gone well and welcomed the Competition and Markets Authority's provisional backing for the merger of SSE's retail arm with npower. 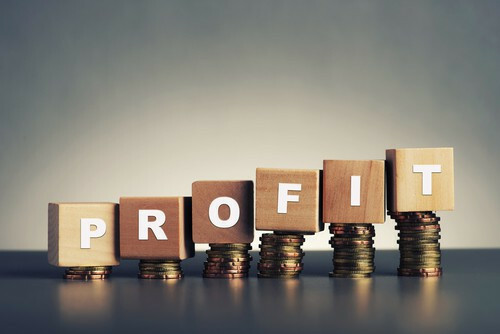 Russ Mould, the investment director at the stockbroker, AJ Bell, said: "It is very rare to see a profit warning from a utility company as they are meant to have fairly predictable income streams. Yet SSE bucks the trend because of the wrong type of weather." George Salmon, an equity analyst at Hargreaves Lansdown, added: "Hardly any rain or wind meant output from its hydro and wind assets wilted in the heat, and with nobody putting the heating on, customer meters just didn't tick over. All the while, the price of gas in the wholesale market has kept on rising. "Investors should remember that SSE can't control any of these factors and a business increasingly focused on renewable energy will have good years & bad. With that longer-term outlook in mind, the board says it intends to stick to pre-existing dividend plans."